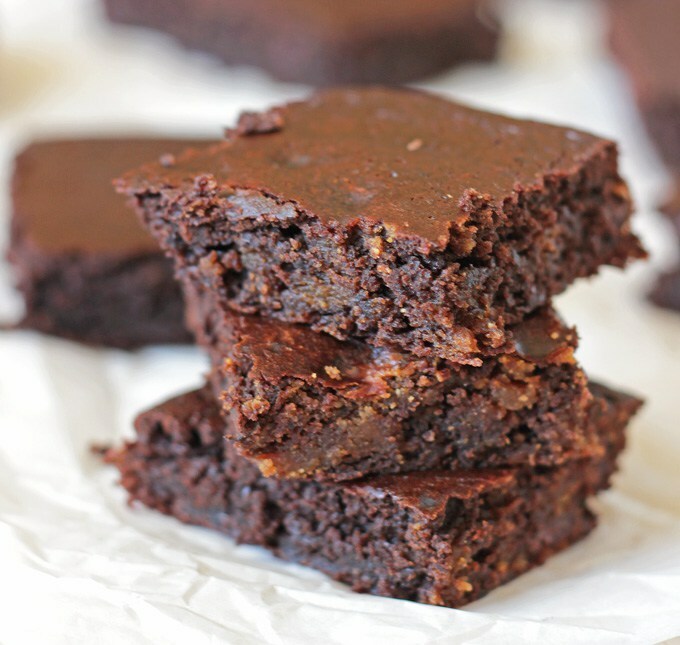 Ahhhh brownies, a delicious treat adored by many – myself included. (Yes, I too have been known to knock out a pan of brownies sitting in front of the TV watching a good movies on a Sunday night). Most of the time after these sweet indulges you get that period of time where you just felt guilty – knowing just how your experience will play havoc in your waistline. Several years ago I was introduced to bean brownies during a work related meeting. Ever since then I am addicted. In the years since I have experimented with many different variations. Today I wanted to share just one of those variations. Spray a 13×9 inch baking pan with non-stick spray. Puree beans. In a mixing bowl combine pureed beans, sugar, flour, cocoa, and salt. Add oil, eggs, and vanilla. Beat on low speed or by hand, scraping down sides of the bowl until prepared pan, spread into corners and smooth top. Bake at 350 for 30 minutes or until tester inserted into center comes out clean.